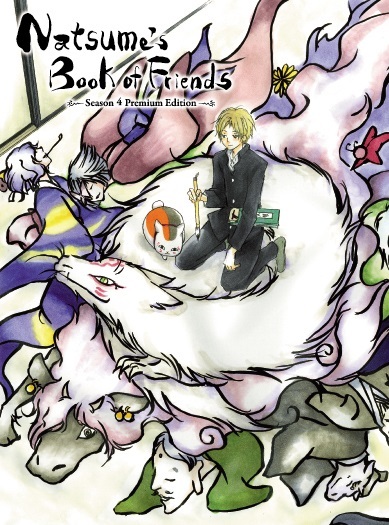 Natsume’s Book of Friends has been around in manga format for over eight years and the series has been given multiple anime seasons over the years. However despite the first anime season coming out in 2008, the series remained unlicensed in the West until last year when NIS America acquired all four seasons of Natsume’s Book of Friends for release. Now that the first three seasons have been released, the fourth and currently final season of Natsume’s Book of Friends has been released to stores. While the manga may still be ongoing, does this fourth season bring the series to what may be the end of the series? Considering the fact that this is now the fourth season of Natsume’s Book of Friends, jumping in at this point will leave viewers missing some key plot points. However thanks to the ongoing nature of the series, it isn’t as unforgiving as one would expect from an anime in its fourth season. The story follows Takashi Natsume, the grandson of a Reiko, a girl with the ability to see Yokai, an ability quite rare amongst the humans in the story. Thanks to Reiko’s ability to see spirits, she began challenging the numerous Yokai, Japanese spirits/demons, and if she could defeat them, Reiko would take their name and place it in her “Book of Friends” as she saw the Yokai as companions, not servants. However by holding a Yokai’s name, one is given power of them and thanks to Reiko’s exploits; the book is brimming with Yokai names. This makes it desirable to both evil Yokai and humans alike who wish to gain the power the book will offer. Natsume possesses not only the same ability to see Yokai as his grandmother, but he has also inherited the Book of Friends, which makes him a target for not only those simply wanting their names back, but also for Yokai who wish to do him harm. 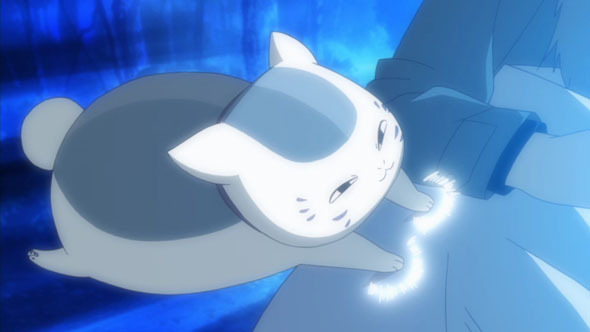 However Natsume is not alone as a powerful Yokai he calls Nyanko-sensei serves as his bodyguard, first because of his desire for the Book of Friends but despite his gruff attitude and constant statements of only wanting the book, his companionship for Natsume has grows more evident every season. 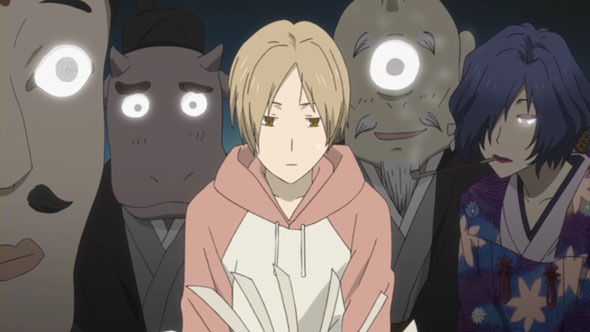 Now while there is some brief narrative covering Takashi Natsume’s past newcomers and returning viewers are immediately thrown into the ongoing story of Natsume and the various Yokai surrounding him. 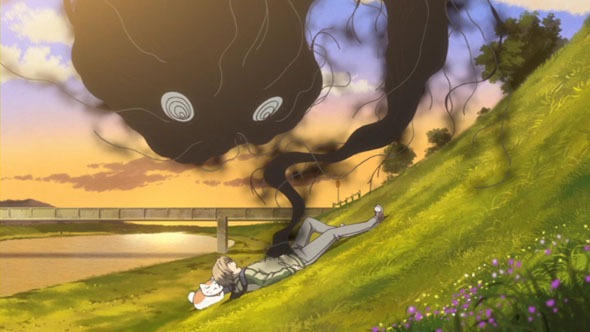 There are a handful of story arcs presented in season four, the first one placing Natsume right at the heart of things as Matoba and his clan of exorcists struggle to deal with Yokai in the forest while the Yokai themselves simply want to return the forest to the way it was. While it may seem like something that could lead to a season spanning plot, this issue ends up being resolved rather quickly, as is the case with most Yokai encounters in Natsume’s Book of Friends. After this there are a handful of one-off episodes that include Natsume encountering more Yokai either by chance or handling their requests when they approach him. This may seem like it would create a rather formulaic season, Natsume’s Book of Friends finds a nice balance between one-off episodes and mini story arcs. In fact, a number of these one-off episodes actually provide some of the best scenes in this season, as we see how an old friend of Natsume saw him back when he used to attend her school, as well as some very touching moments during the final arc of this season as we see Natsume return to his home and deal with one of the issues that has plagued him throughout the series, his family and where he really belongs. Throughout the series we have seen Natsume struggle with who he is as he dealt with his gift that isolated him from other humans his age. Witnessing Natsume come to grips with who he is as a person and accepting what his new family means to him brings the season, and possibly the series, to a heartwarming conclusion. One of the things that has always made Natsume’s Book of Friends stand out for me, is the way that the animation studio has consistently used classic Japanese Yokai appearances which fit with the traditional Yokai folklore. 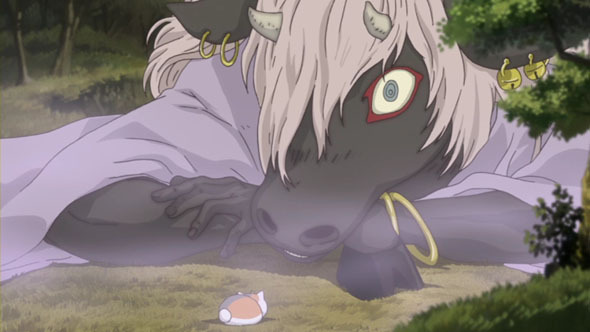 Obviously not every Yokai presented had legends passed down for it, but outside of a few human Yokai, one of the best parts of Natsume’s Book of Friends has always been the Yokai designs and season four is just as impressive in that regard, especially when it comes to some of the newer Yokai introduced. As for everything else, the normal human designs remain rather basic compared to the oft highly detailed Yokai appearances and the series has a very soft color palette which works well with the tone of the series. As with all of NIS America’s other anime releases, Natsume’s Book of Friends Season Four has been released with only the Japanese voice track, meaning that viewers are simply presented with English subtitles. This isn’t too much of an issue however thanks to the stellar voice work from the original Japanese cast and a story that would likely lose something in translation from Japanese to English. As far as this season’s soundtrack goes, there are numerous gentle tracks that work well for an anime as meaningful as Natsume’s Book of Friends can be. Numerous times throughout this season these background tracks are successfully used to accentuate the scene in which they are played. As far as the opening and ending themes are concerned, the opening theme “Now, This Time” By Hiiragi and the ending “Treasure” by Marina Kawano are fitting for the series and are what fans have come to expect at this point. 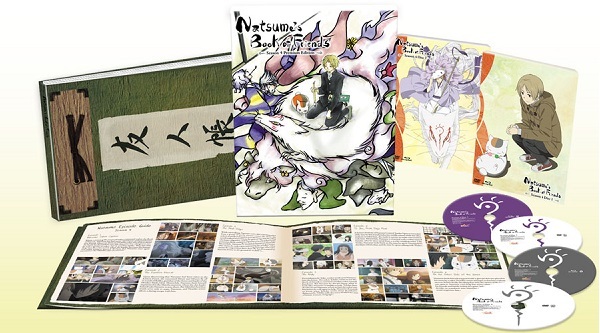 Natsume’s Book of Friends Season Four has been given NIS America’s Premium Edition treatment meaning it comes with both an oversized chipboard artistic slipcase, an art book and some minor on-disc extras. The on-disc bonus features are sparse, with only the clean opening theme and clean ending themes, trailers for other NIS America releases and the original Japanese commercials for the season. As for the case itself, it hasn’t been given a glossy finish, leaving it with a textured surface that fits with the theme of the series, something I’ve come to notice with NIS America’s premium editions as they had similar textures used for House of Five Leaves. The art book offered is fully colored and provides brief episode synopsis, character designs for the newly revealed Yokai and humans for this season as well as designs for Natsume and Nyanko-sensei. Clossing out the art book are some staff comments from Director Takahiro Omori and a number of full page promotional art pieces from this season. 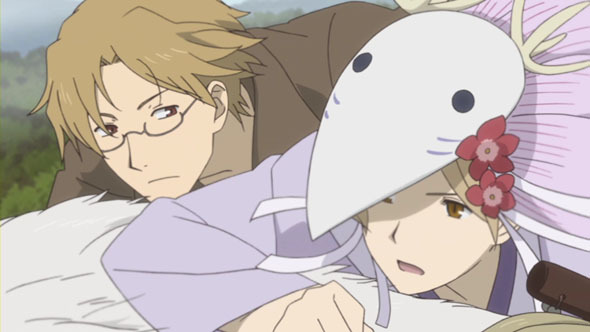 Natsume’s Book of Friends Season Four may just be the ending of the series for anime fans as the manga continues, but it can easily be accepted as the final destination for this series. While offering bits of humor and interesting storylines involving strange and intriguing Yokai, season four brings us to an emotional acceptance by Natsume as he embraces his new life, even while he accepts the terrible past that has plagued him throughout the series.